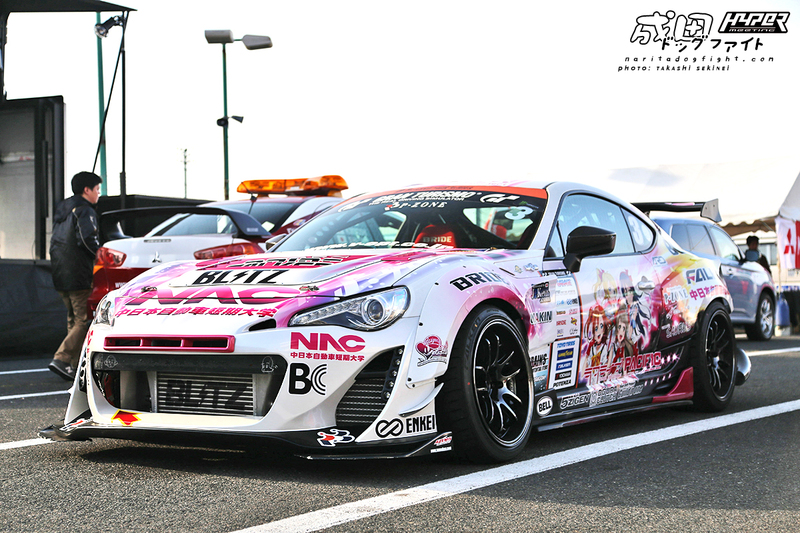 Encounter: Pacific Racing Team x ラブライブ! – ハイパミ 2014! 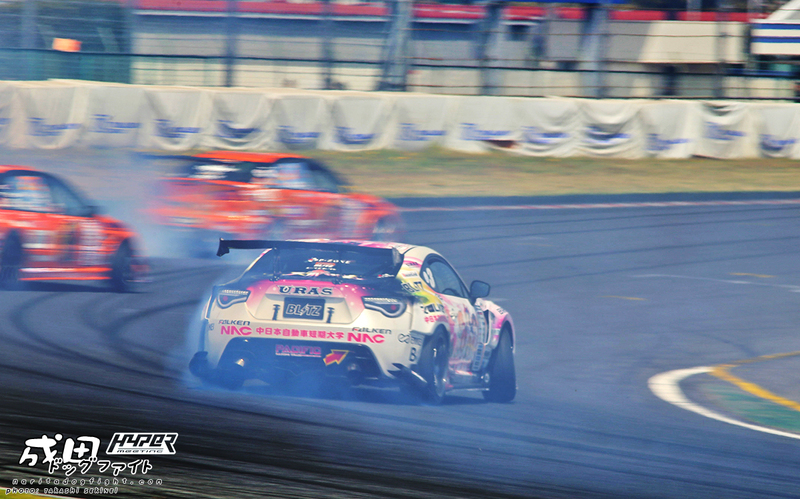 I mentioned on our Instagram account (@naritadogfight) that Sekinei was at Tsukuba this past weekend covering Hyper Meeting 2014. I initially wanted to post up a bunch of shots from the event but honestly I got so busy this evening that I don’t think I’ll have time to put together an entire Event post just yet. 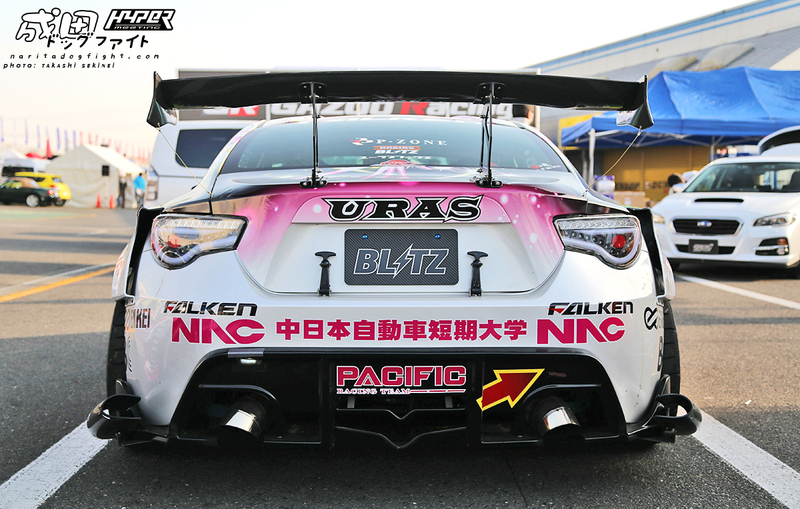 Instead I’ll ease into it with a new D1 car that I’ve come to enjoy very much; the Pacific Racing Team 86. Pacific Racing may sound familiar as they are thoroughly immersed in Japanese motor sport having competed in Super GT in the GT300 class since 2010; initially with LMP and Ferrari, and now most recently with Porsche. This venture into D1 is kind of a new one for the company, but they seem to be getting it just fine. 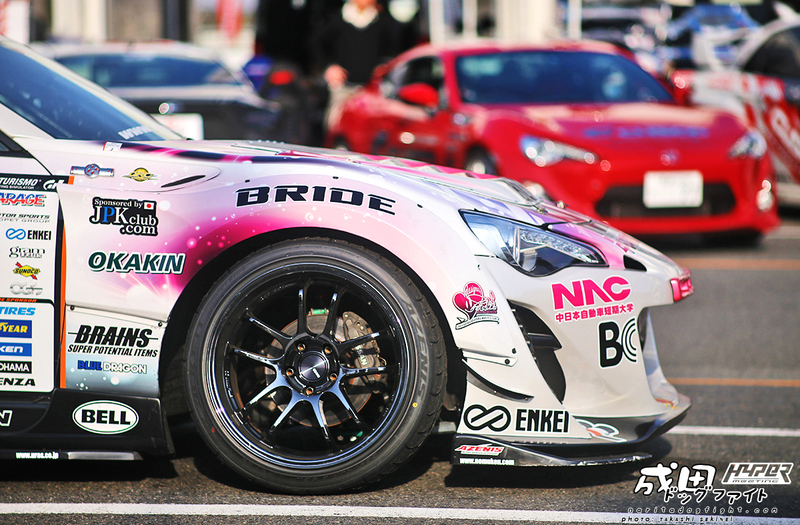 For this particular 86 that Nomuken will be driving every once in awhile, they teamed up with ラブライブ! 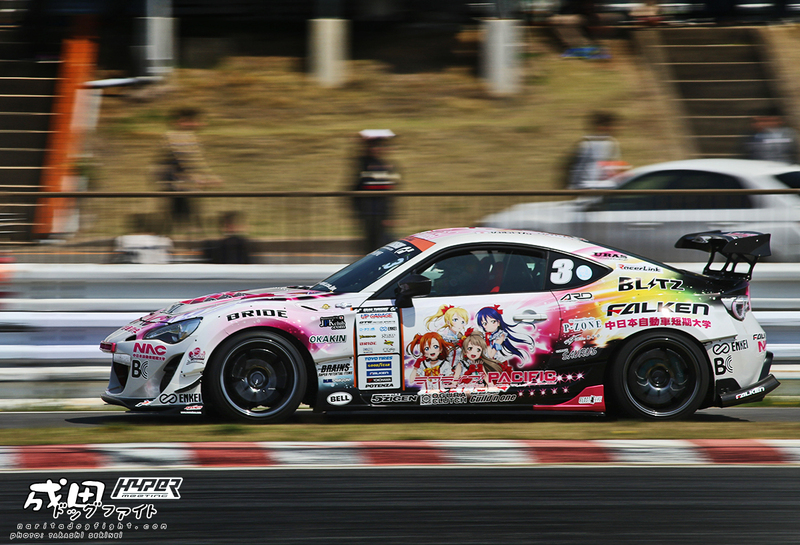 School Idol Project to promote the race queens, or ‘Pacific Fairies’ as they call them. Coincidentally, this is just another variation of the livery they run on their Porsche car. 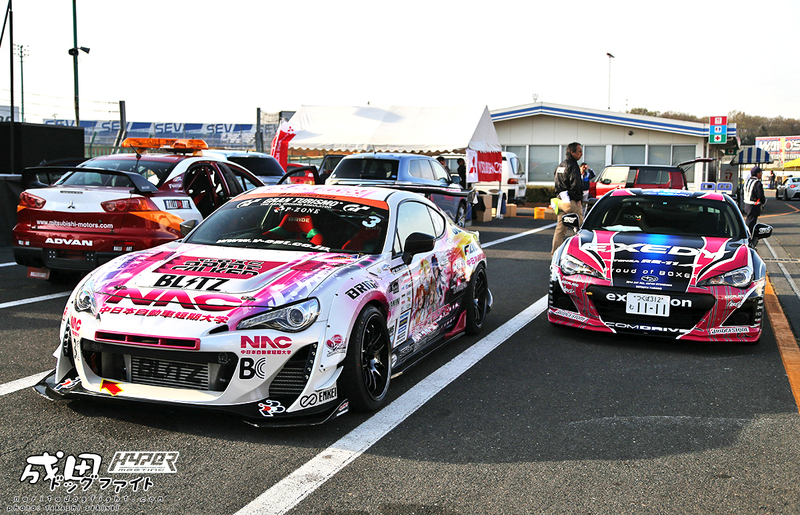 Itasha race cars? Love it. 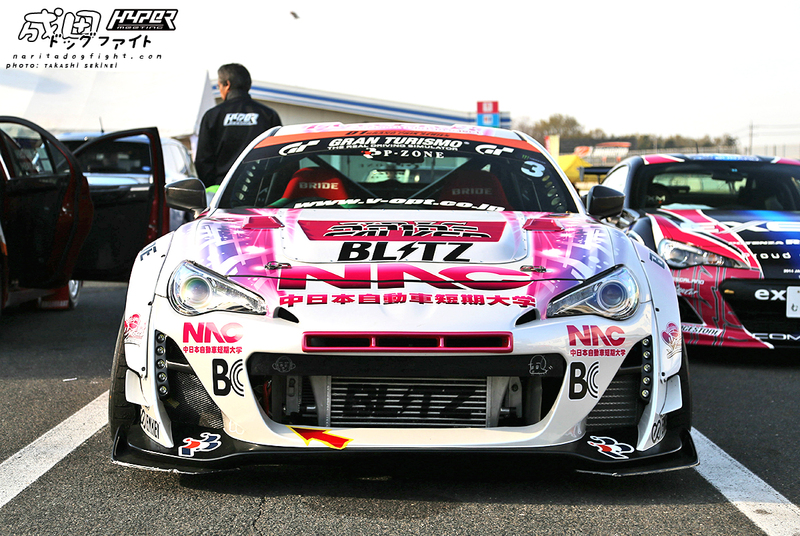 I’ll never get over how well planned out the livery designs in Japan are. It’s artwork in it’s own right. During the middle of the event Nomuken hopped in and, along with Team Orange, tore up TC2000 for a D1 Exhibition. Looks just as good sideways as it does sitting in the lot. The 700ps 2JZ under the hood may have something to do with how easily it slides around the final turn. 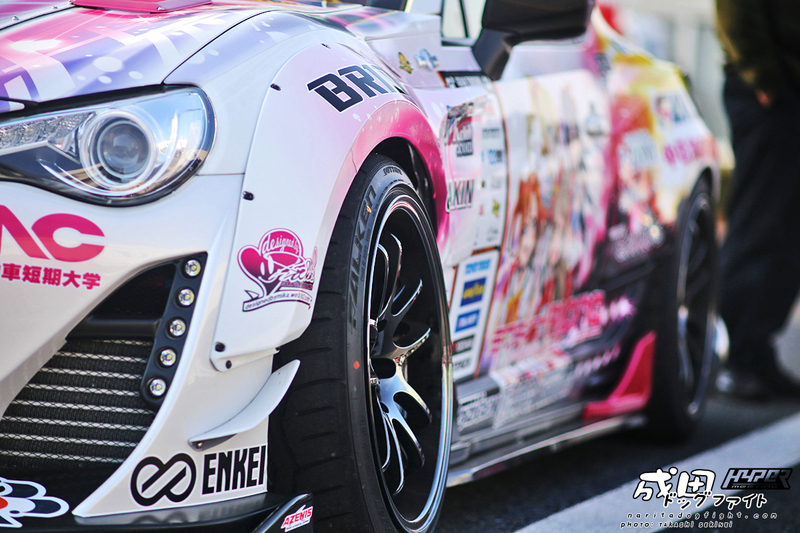 I’ll do my best to get some more Hyper Meeting content up soon – again, big thanks to Mr. Satsuei Seki for the shots!